Thanks to technology, you can now enjoy slot machine games right in your phone. One of the most popular ones is Zeus the Thunderer slot machine game. It has been developed for the iOS platform. As such, it can only be installed and used on an iPhone or an iPad. Both of these devices are produced by Apple. The game is exciting and has attractive High Definition (HD) graphics. You can play it all day without getting bored by it. The best quality of this game is that it is completely free for you. Simply get online and download it. 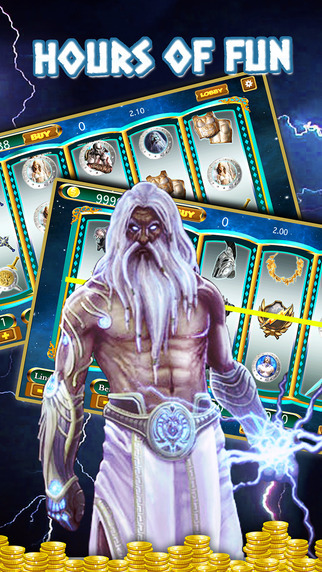 Read on to discover more about Zeus the Thunderer iPhone application game. The game has many different realms that you can play in. There are also many different types of slot machines available for you. You can enjoy multiple themes in this game as well. All the themes and realms are presented in High Definition (HD). In addition to that, there are attractive sound effects to keep you excited and playing the game constantly. 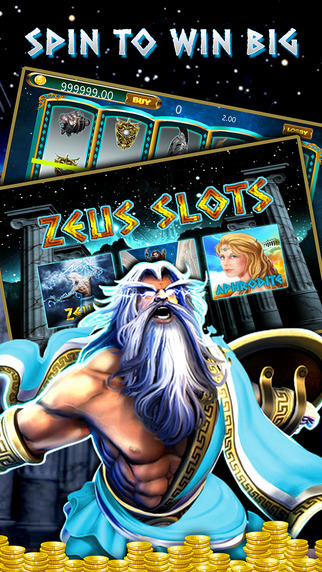 Zeus the Thunderer slot machine game has 3 rows, 5 reels and 25 pay-lines. The machines are designed to look and sound exactly like the ones in Las Vegas. When you begin the game, you get 1000 free credits. These help you to get right to a good start. You also get to enjoy some free spins in the game. Games become much more fun when they are competitive. In this one, there is a leaderboard where you can simply compare the score that you get against the scores made by other players. This makes you want to play so that you are at the top of the leaderboard. The application is small and compact. As such, you can install it in your smart-phone and even your iPad tablet to enjoy it anywhere you go. You do not need any money so as to play this game. You simply download it and begin playing. This game has been designed and presented by the gaming company known as MrSlotty. It will work on any iPhone or iPad device. It has been designed such that the graphics will adjust to the size of the screen. Its interface has been made such that beginners can get accustomed to the game and begin playing it quite easily. 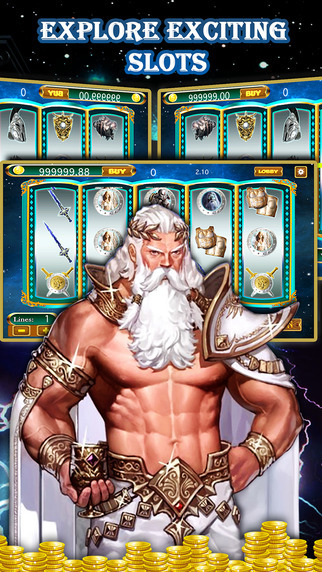 The only special symbol in this game is the image of Zeus. This symbol allows you to win the most money when you land on it 5 times. There is another symbol that allows you to win big. This is the lightning bolt. Once you land on this symbol 5 times, you win a big reward. The game takes up quite a large chunk of your phone memory while you are playing it. As such, it is best to play it when you do not have any other major applications running. Moreover, the bonus win symbols are few. Thus, it becomes that much harder to win the bonus rewards. 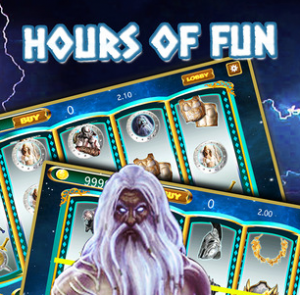 Overall, Zeus the Thunderer is an amazing slots game for the iOS platform. You can install it and play it as often as you like. It is free to download for hours of fun. Fans of casino games will not be disappointed by this one.